Our client, age 23, was charged with one count of felony robbery (Penal Code § 211). The single charge arose from a series of robberies wherein Craig’s List was used by one of our client’s friends to bring people to a location in Gardena wherein they each would be robbed while expecting to trade for a cell phone or buy it outright. The location was our client’s address, which was on a dead-end street. Our client’s friends were also charged, but with significantly more counts. 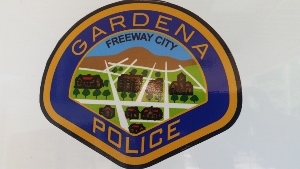 There were multiple police reports regarding the use of Craig’s List to bring people to Gardena for this and police had been investigating the crimes, believing they were all committed by the same person. The Craig’s List advertisement, however, varied over time. What One Should Learn from This Case Summary: Hiring a local, experienced criminal defense attorney can make an enormous difference in how one’s case is resolved. In the following case involving a series of robberies in Gardena using Craig’s List, the long-standing offer of a plea bargain involved six years in state prison. After our office was retained, the case resolved for two years in state prison. In the one incident wherein our client was allegedly involved, a gun was used to effect the robbery. The use of a firearm in committing the crime triggers a sentencing enhancement if the suspect is later arrested, charged and sentenced. In the incident involving our client, an individual with an I-phone engaged in a text message conversation with someone (one of the defendants) about trading his I-phone for another, older I-phone like he previously had. The “victim” did not like the newest I-phone at all, but could not return it. Our client and his friends were the solution to his problem, or so he believed. Once the victim arrived on the dead-end street, he texted someone that he had arrived and our client allegedly came out to the car. It was about 9:00 p.m. at night. Our client allegedly carried the older I-phone out in plain view. Our client then pulled out a gun and demanded the victim hand over his phone and drive away. The police report described our client as about six feet, three inches tall and 250 pounds, with a beard. Our client did have a beard in fact, but he was closer to five feet, nine inches tall and 200 pounds. The felony case was filed in Torrance, alleging four total robberies. There were three other defendants. Each defendant had a prior criminal history. One had a prior conviction for a strike offense. Our client had two prior convictions for theft, as well as a conviction for sales of a controlled substance. The case was problematic because of the multiple defendants and police officer testimony at the preliminary hearing which seemed to contradict the police report in several significant ways. The alleged victim also did not show up and his description of our client was quite inaccurate. Greg Hill of Greg Hill & Associates was retained after the preliminary hearing by the family, who had been present at the preliminary hearing and heard the police officer’s testimony. As is not uncommon, the family expected the case to be dismissed because it seemed the police officer was fabricating his testimony and thus, his honesty was in doubt. This expectation is because the family misunderstood how a judge views the evidence in a preliminary hearing and how the ultimate truth of the charges really is not decided. Instead, at a preliminary hearing, the judge is merely tasked with deciding if there is sufficient evidence that the charges may be later proven at trial. Greg then negotiated a plea bargain for the client in which he agreed to plead no contest to Penal Code Section 211, Robbery a Felony. Our client was sentenced to 24 months in prison with a possible release after 20.4 months served (85%, but now with Prop 57, this may be significantly earlier). He was given credit for 264 days (about nine months) of time already served, including good behavior credit. Therefore, he would easily be out within a year. Had our client taken the case to trial, he faced a maximum of seven years in state prison. The original offer was six years, so the client was pleased to have the prison time reduced by two thirds, especially given his criminal history.